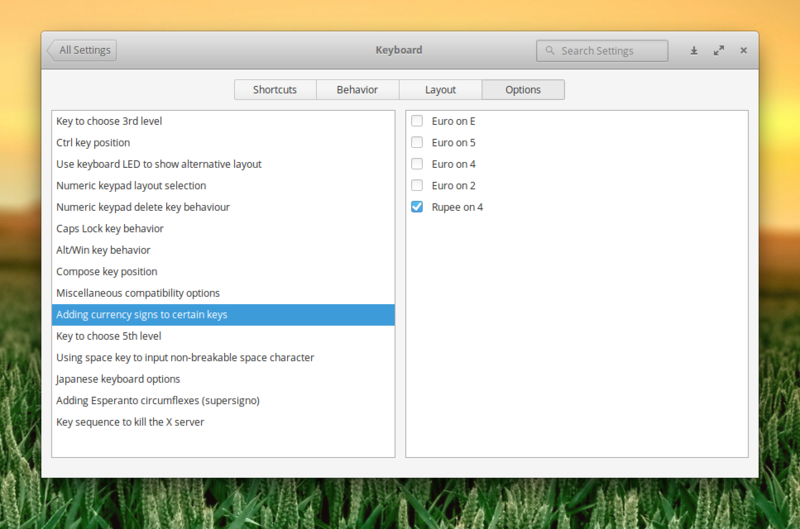 I just found out in settings that elementary OS has an option to add the rupee symbol as an additional symbol on the number four key as seen in the below screenshot, but how do I enter that symbol? I've restarted my computer after toggling the setting. Just tested it myself, you do not need to restart your computer or even exit the settings window. It just works. But I do agree that it is a bit assuming to just call the setting "Rupee on 4". Although it is rather intuitive on a Scandinavian keyboard-layout like mine, it might not be on some kind of keyboards I guess.